← In Pictures: Stockport 5 returns home for a day! Heading back over 40 years ago to the formative years of the Seaton Tramway as we continue our archive photo series, Picture in Time. 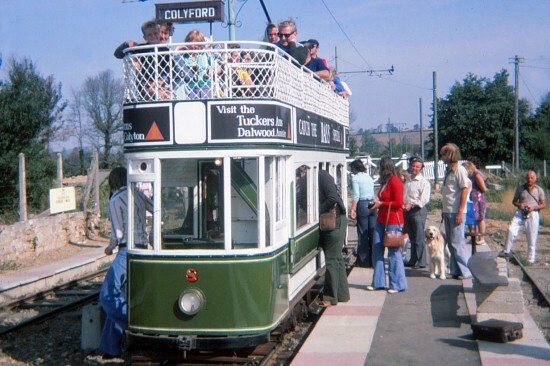 The year is 1976 and we see tram no. 8 at Colyford when this was the terminus of the line from Seaton ahead of the extension being opened through to Colyton. Behind the tram can be seen the level crossing which trams now run over on a daily basis throughout the season but at this stage the gates are firmly closed with no through route for the trams. At this stage 8 was in a green and white livery and it was in its original lower deck formation with enclosed saloons at either end. This was all changed in 1992 when it received the open crossbench seating style as it seen today.